Blair Titcomb focuses her practice on professional liability litigation, with particular emphasis in defending architects, engineers and other construction professionals in claims arising from the design and construction process, including claims involving catastrophic injury, death and property damage. Ms. Titcomb also provides risk management services, including drafting and negotiating contracts on behalf of design professionals, contractors and developers. In addition to her work in the construction/design industry, Ms. Titcomb also represents clients in insurance coverage disputes, insurer "bad faith" claims and general liability matters, including product liability, transportation liability, and premises liability. Ms. Titcomb has successfully resolved complex claims through dispositive motions in both state and federal courts, and has also secured favorable resolutions to high-exposure matters through mediation, arbitration and trial. Prior to joining Hinshaw & Culbertson LLP in December 2016, Ms. Titcomb was an associate at an international insurance and construction litigation firm headquartered in Chicago. She began her legal career as a litigation associate with one of Chicago's oldest law firms, Tews, Theisen & Theisen, established in 1867. 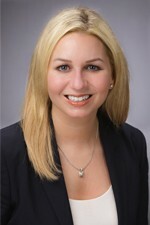 Thereafter, Ms. Titcomb served as an associate in the Chicago office of a national defense trial firm. During law school, Ms. Titcomb practiced under Illinois Supreme Court Rule 711 as an extern/law clerk with the Torts Division of the City of Chicago Corporation Counsel. She was the recipient of an academic scholarship and was a member of the Dean's List and Honor Roll. In addition, Ms. Titcomb received the Blue Book Award in Trial Skills, served as a Teaching Assistant for Trial Skills, and participated in Mock Trial.